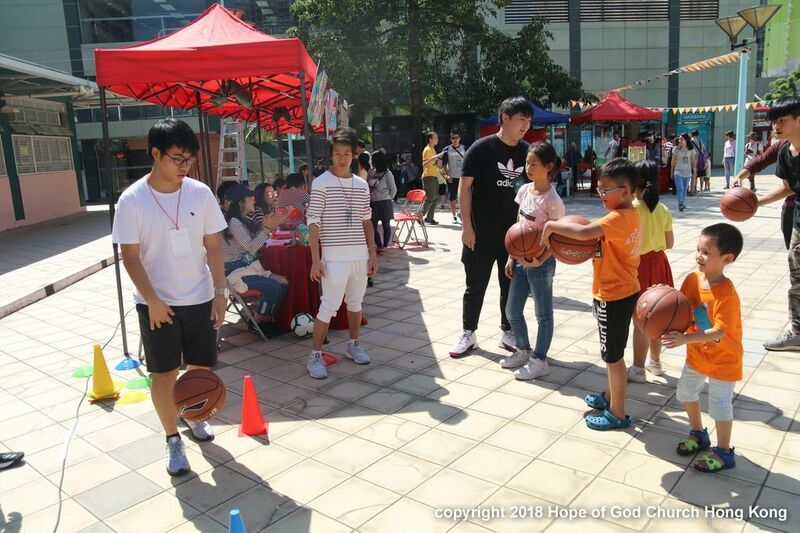 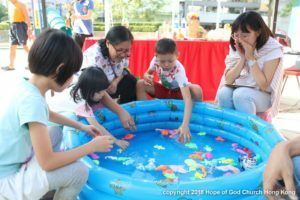 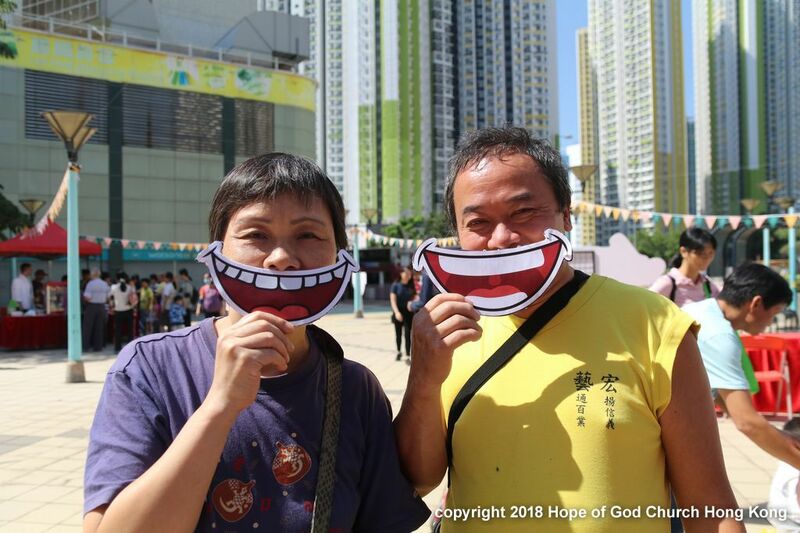 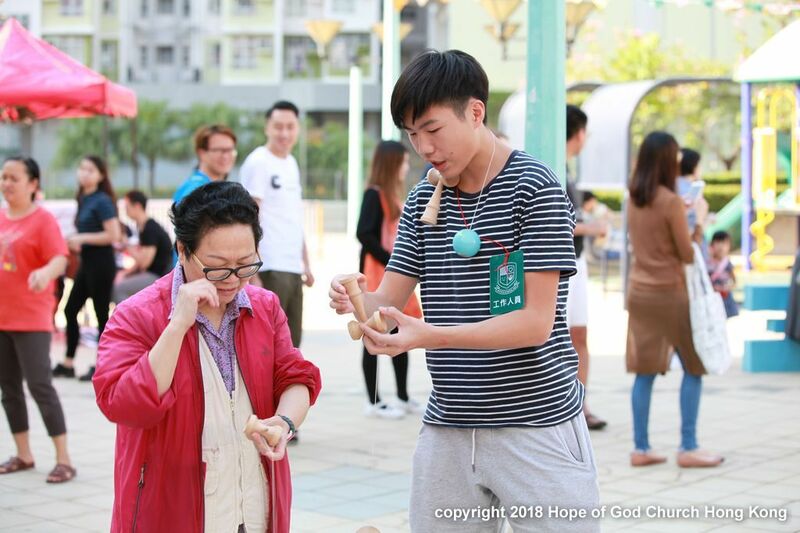 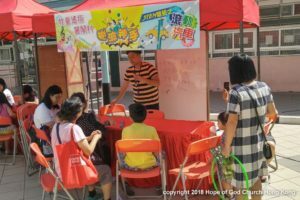 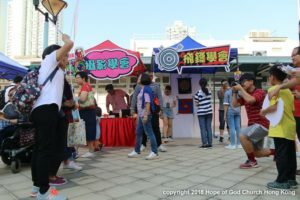 Praise the Lord for the Smile, Care and Love Open day! 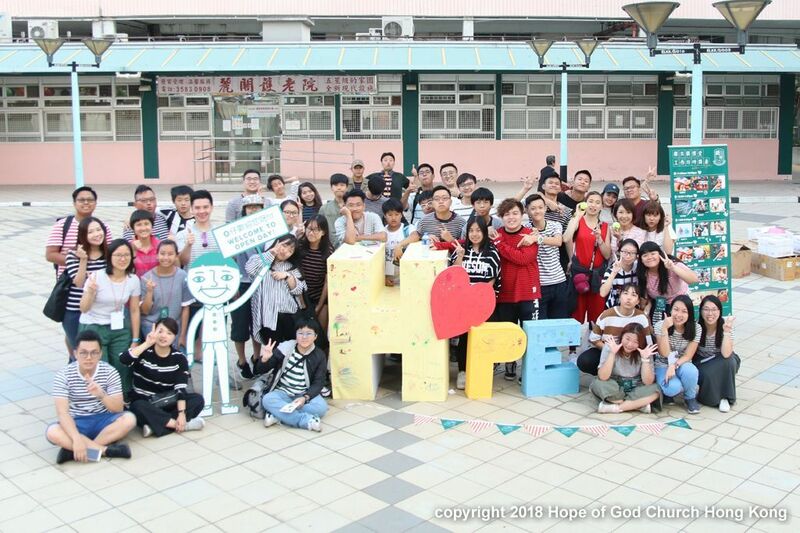 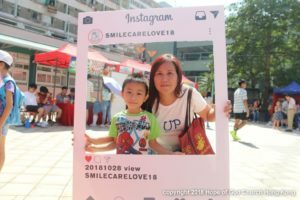 The Youth Group organized Smile, Care and Love event since 2010. 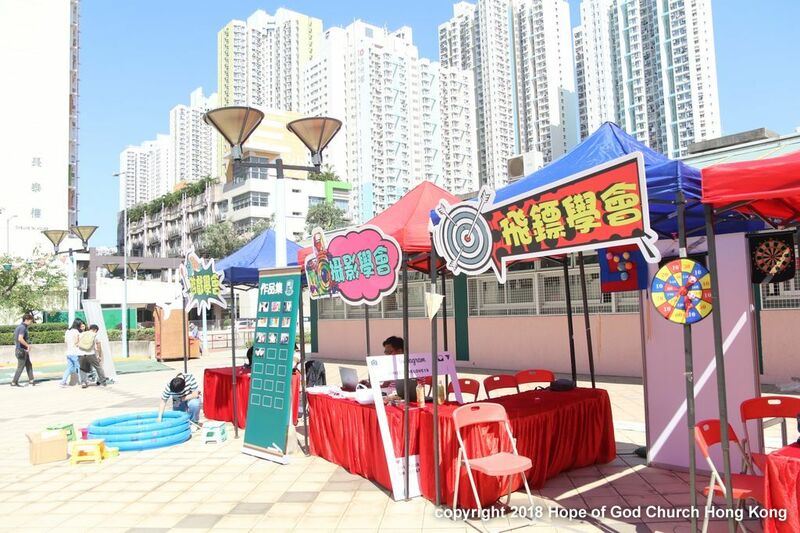 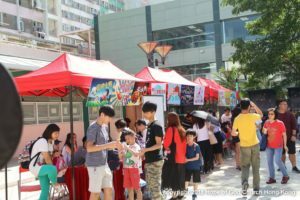 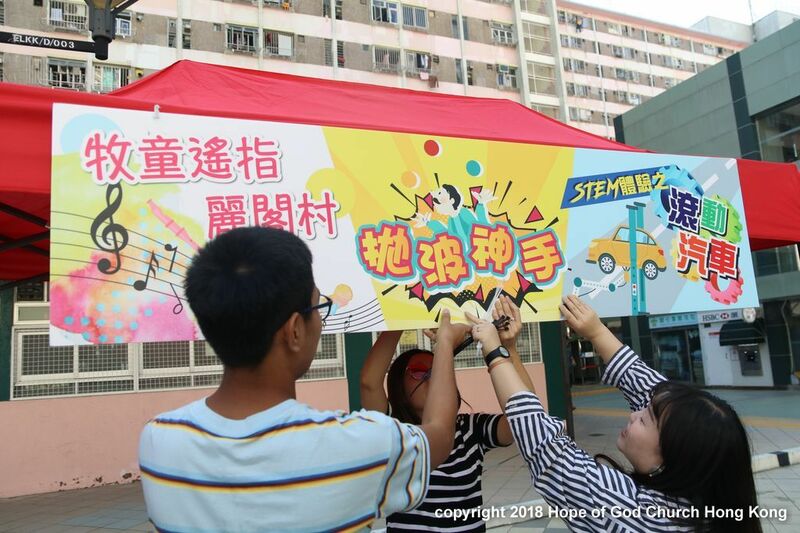 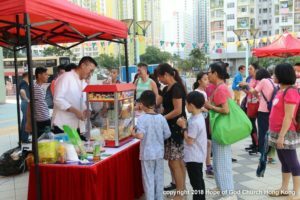 This year, we have an open day at Cheung Sha Wan Lai Kok Estate on the day from 11am to 4pm. 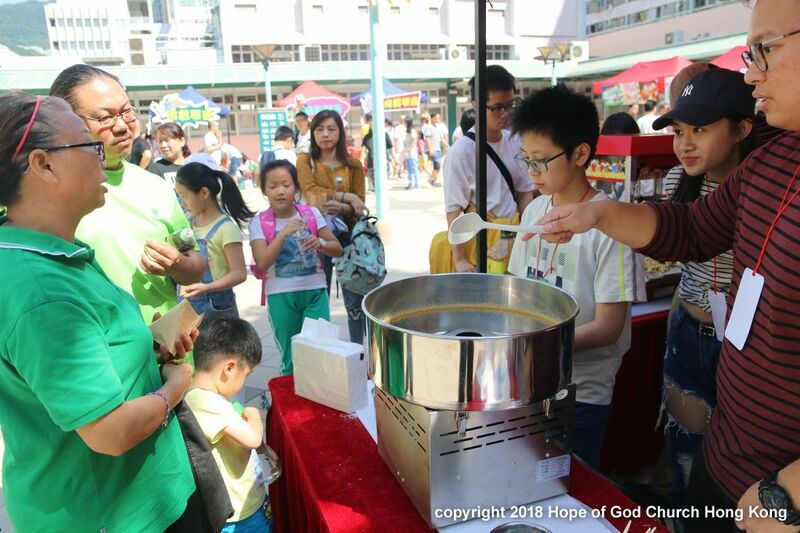 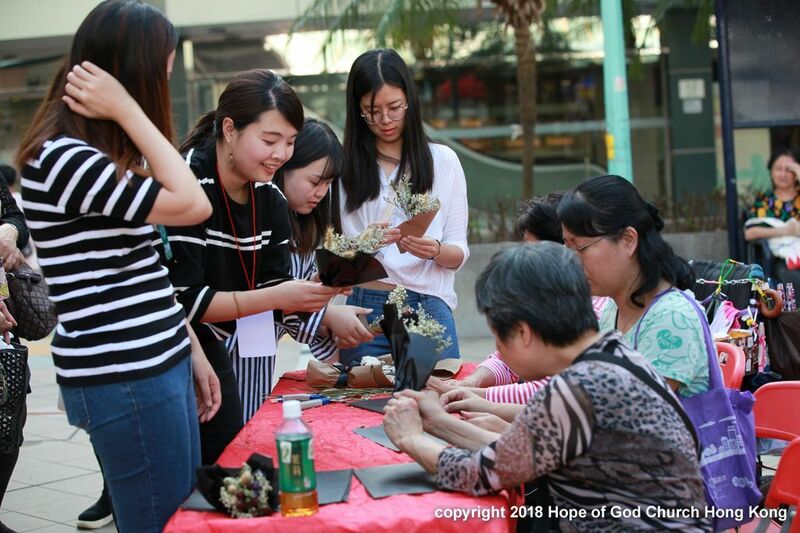 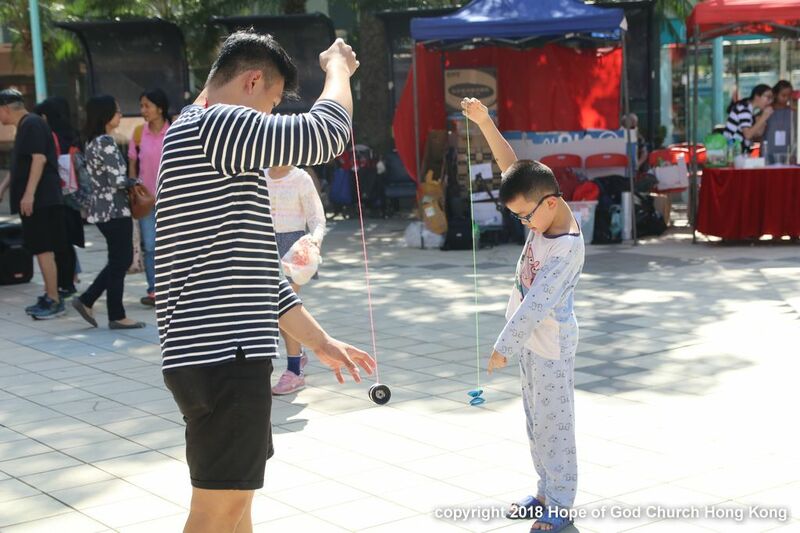 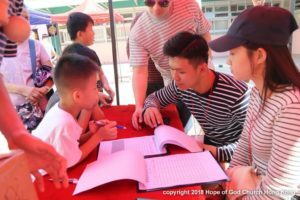 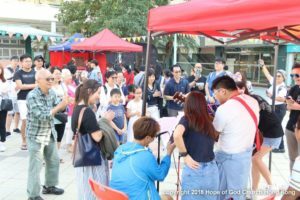 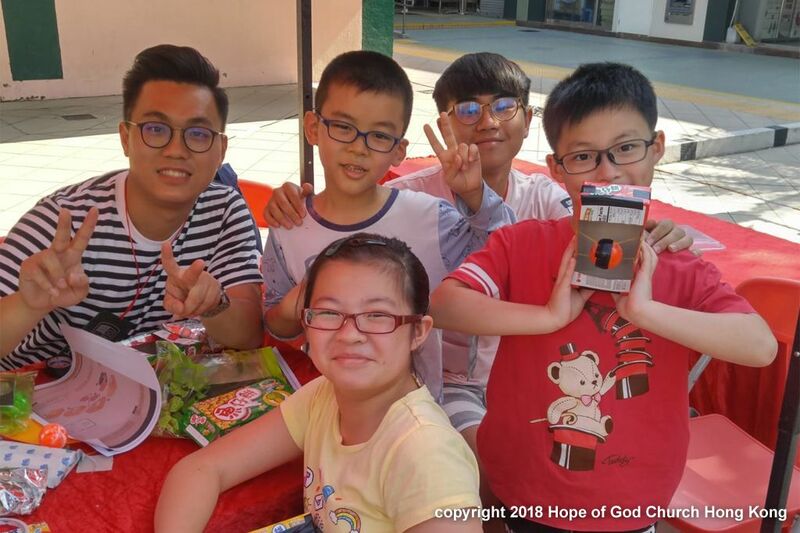 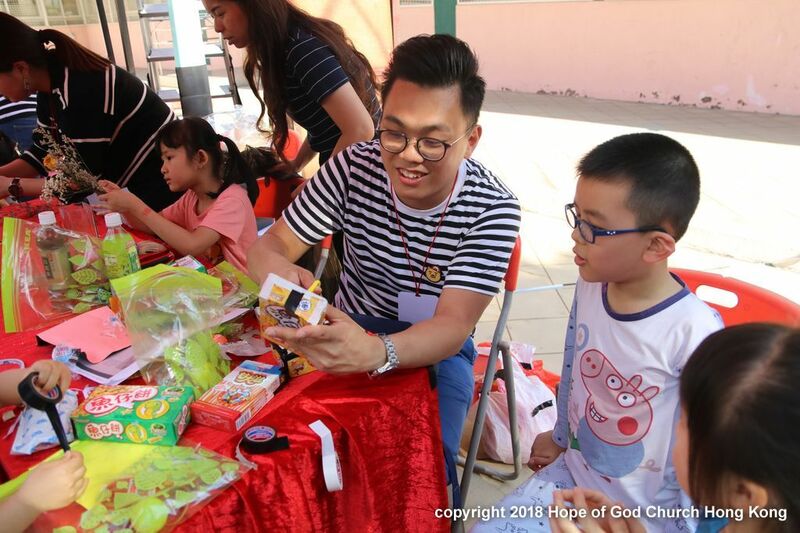 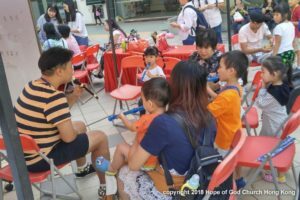 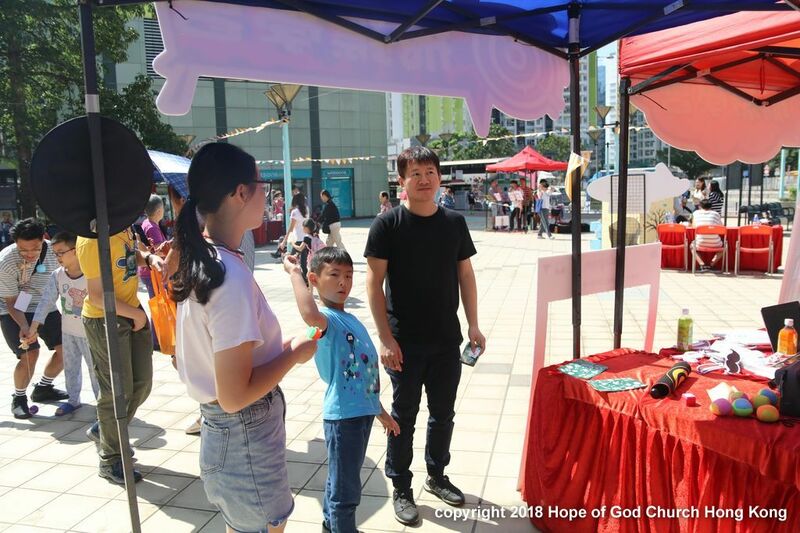 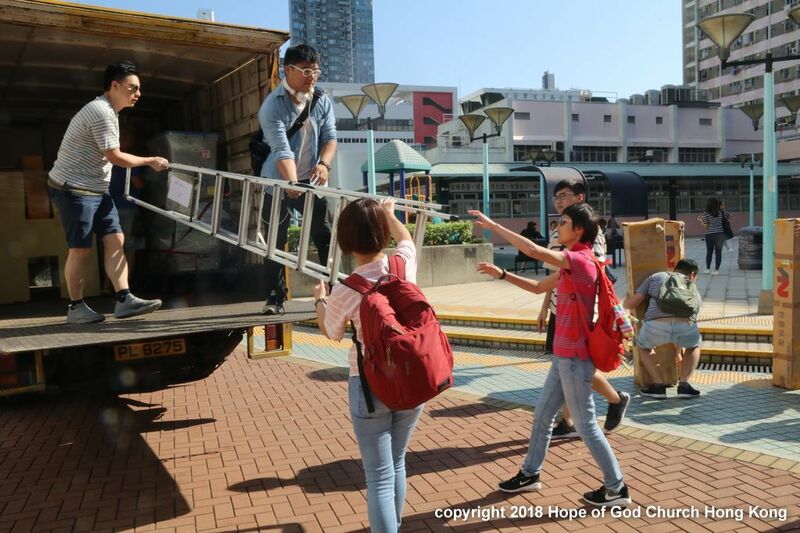 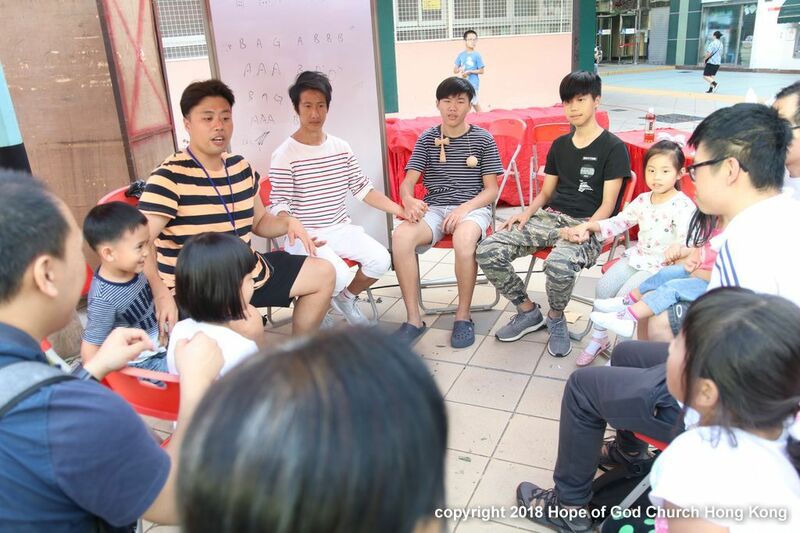 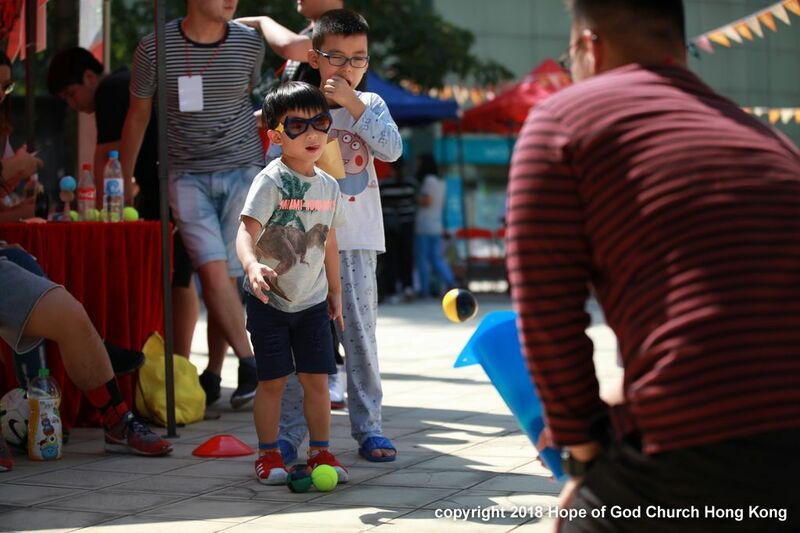 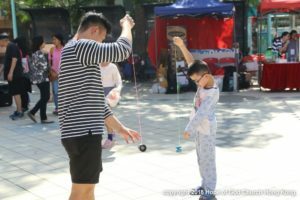 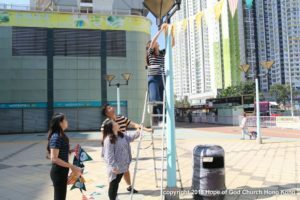 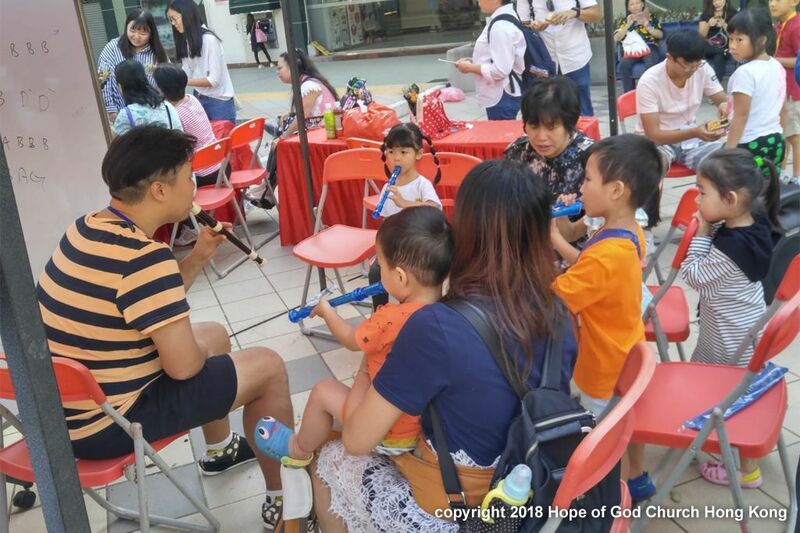 The aim of the event was to spread God’s love to our community, to pass out the message of Smile, Care and Love that has an powerful infection and to build up the Youth brothers and sisters. 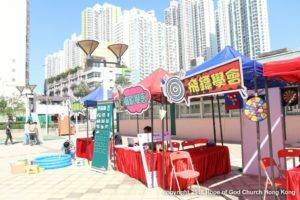 In the open day, there were booths and workshops. 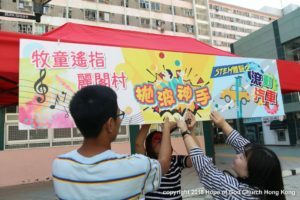 For the booths, there were game club, art club, photography club, darts club and music club. 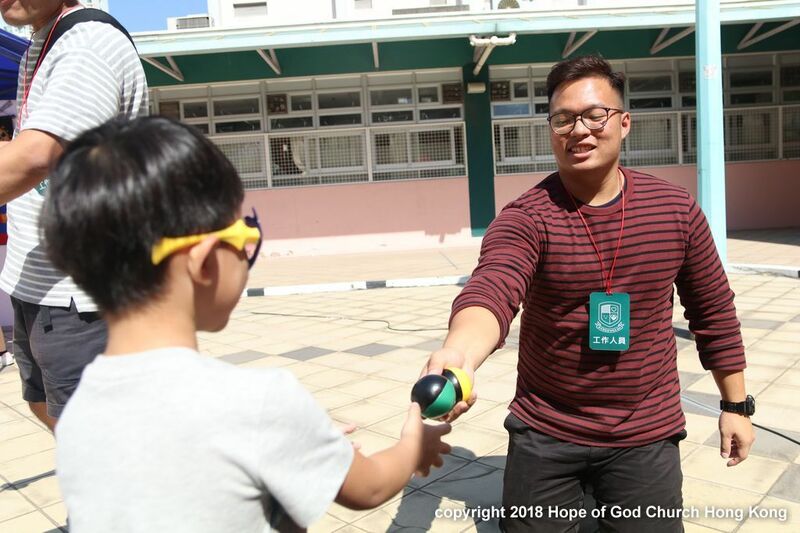 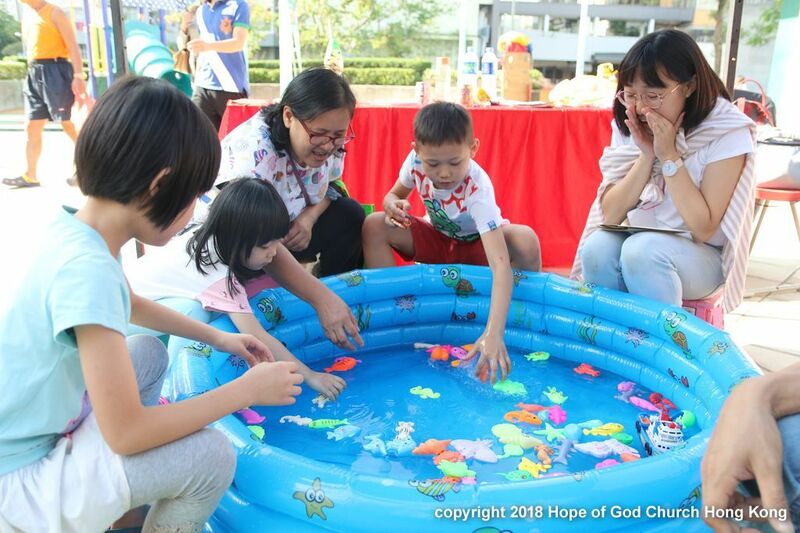 At the game club, guests played a fishing game and were invited to do some tasks such as introducing themselves, encouraging or shaking hands with others, it aimed to spread the message of love and appreciate others. At the art club, it aimed to put care into action. 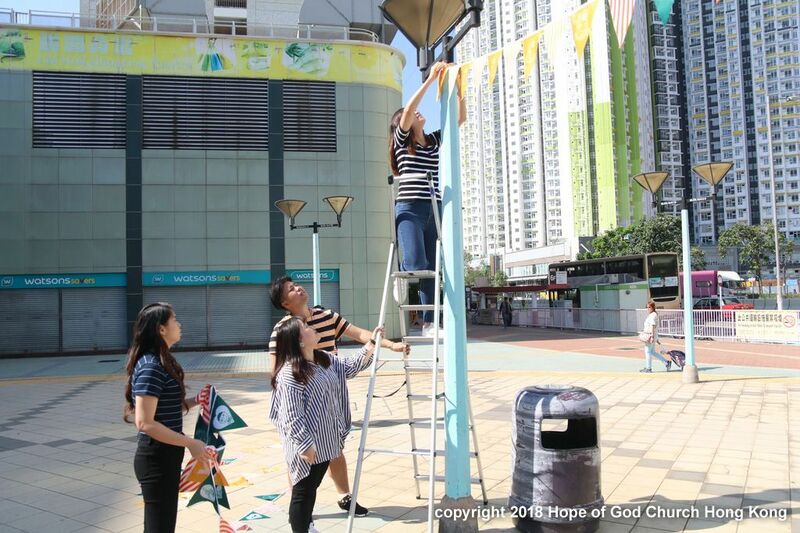 If everyone is willing to put a little effort or share their care, it will be powerful. 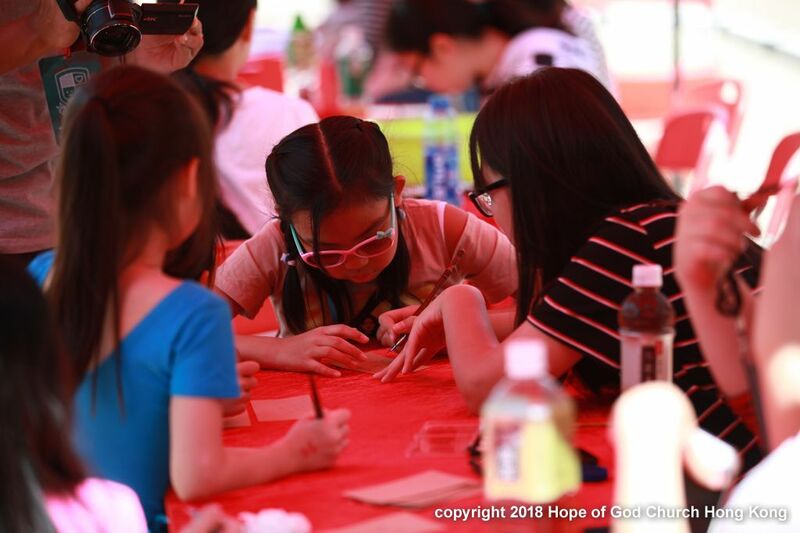 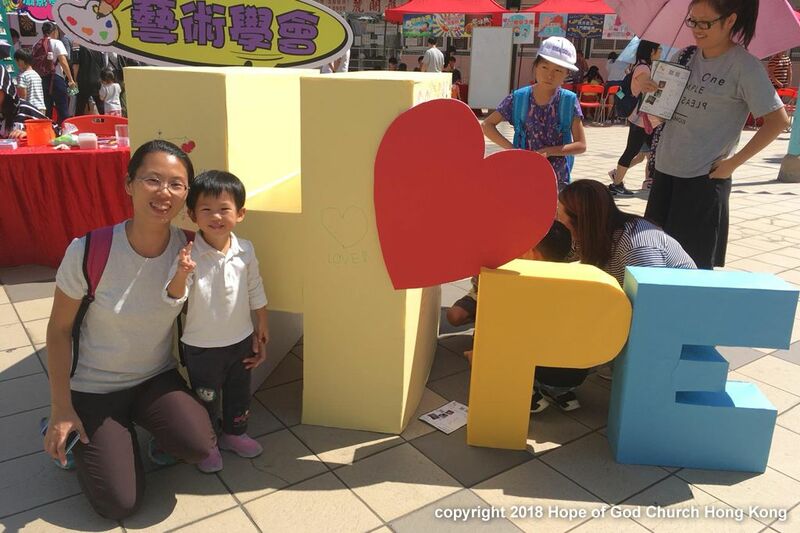 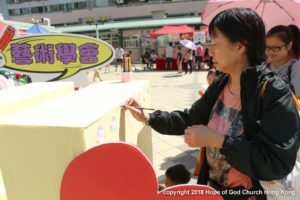 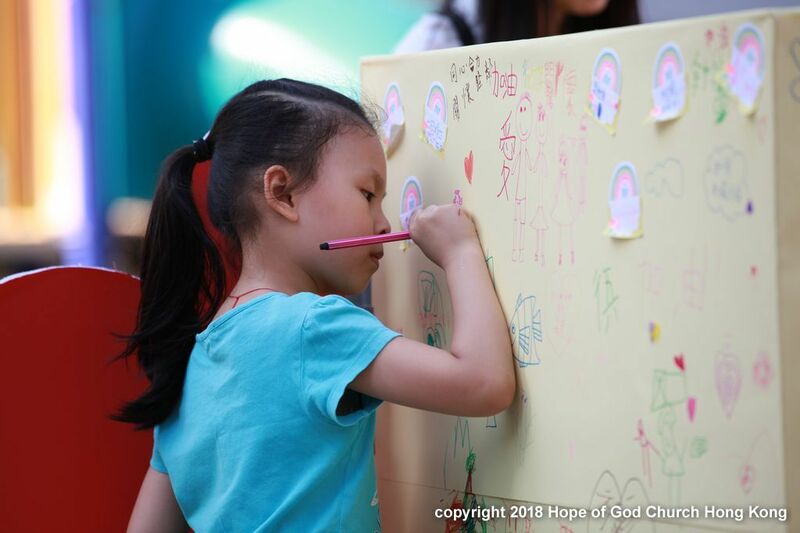 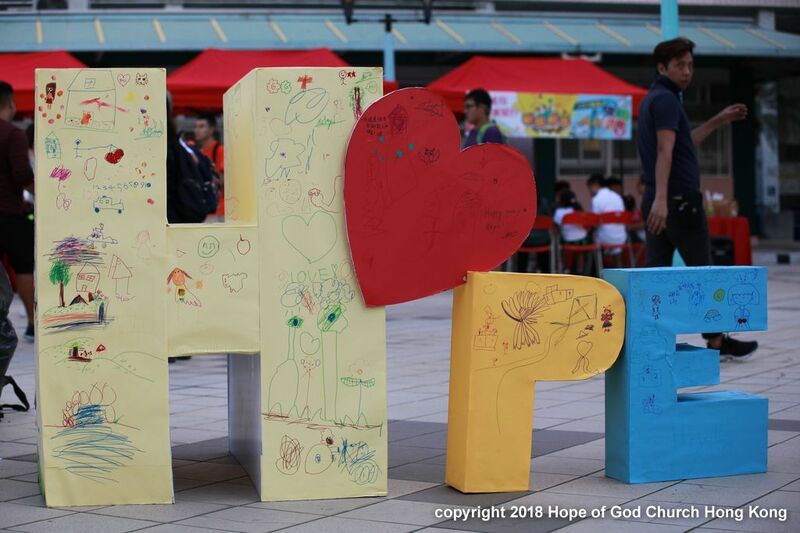 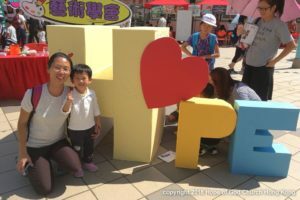 Guests were encouraged to write down sentences of encouragement and draw pictures on the “HOPE” matrix.And it was very colorful and meaningful. 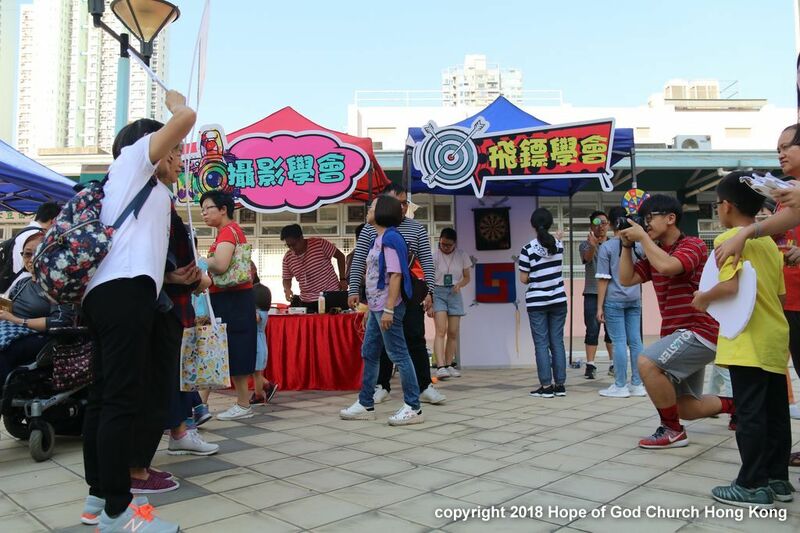 At the darts club, guests were invited to play a dart game. In this game, the message of never give up were spread and bringing happiness to all. For the music club, it aimed to spread the message of smile, care and love through the busking. Guests were chopped a word in hand after they joined the club. All the words combined could make a sentence “Let’s have a smile”. It aimed to encourage the guests to put into action of smiling in daily live. Last but not least, the have a total of 10 workshops: handmade floral & accessory, teaching modern calligraphy, ball games, mini game, STEM and records etc. 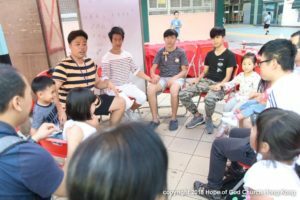 All workshops worked together to build up the Youth brothers and sisters,as well as to bring God’s joy to the community. 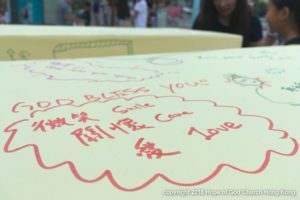 The whole event ended with a successful note. 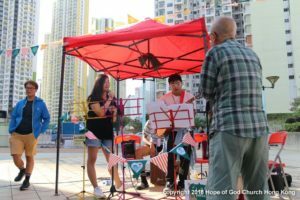 The response of the public was good and brothers and sisters who participated were overflow with joy and God’s love too. Let’s keep on following Jesus and show His love every day!